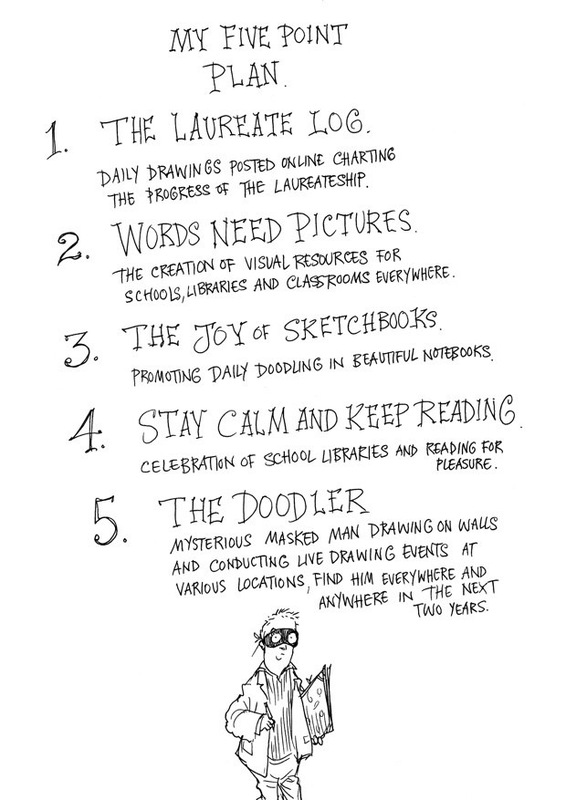 Continuing with my drawing diary inspired by Children’s Laureate, Chris Riddell’s, Five Point Plan, again proved a little tricky over the past few days…but I’ve kept going, albeit not every day. My first drawing is one that I set as a challange to myself. I have a friend who, along with his partner, keeps alpacas in the province of Cordoba in Spain. 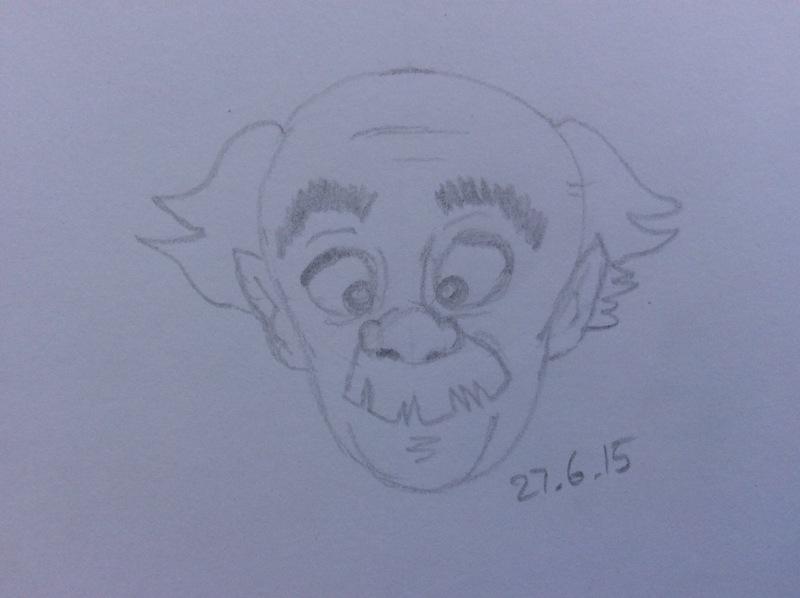 I wondered if I could draw one…here’s the result of that little experiment. 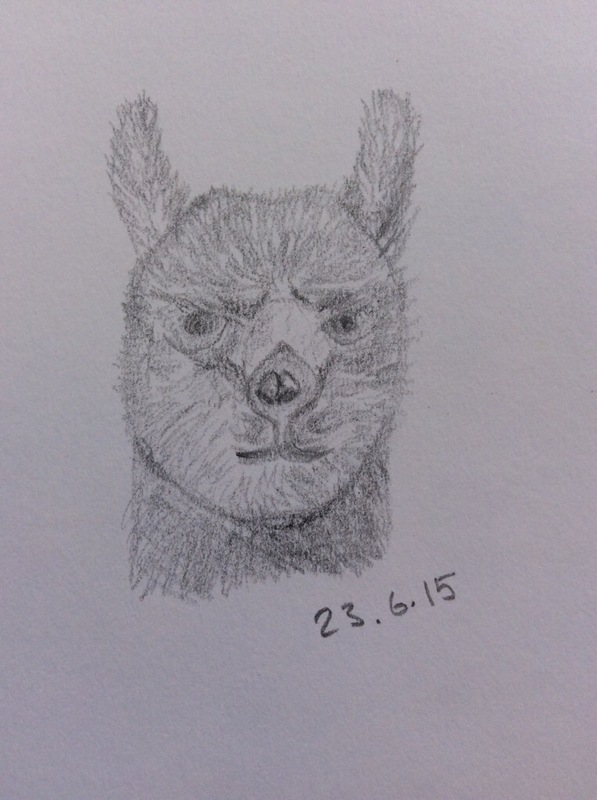 A decidedly pensive/angry alpaca! 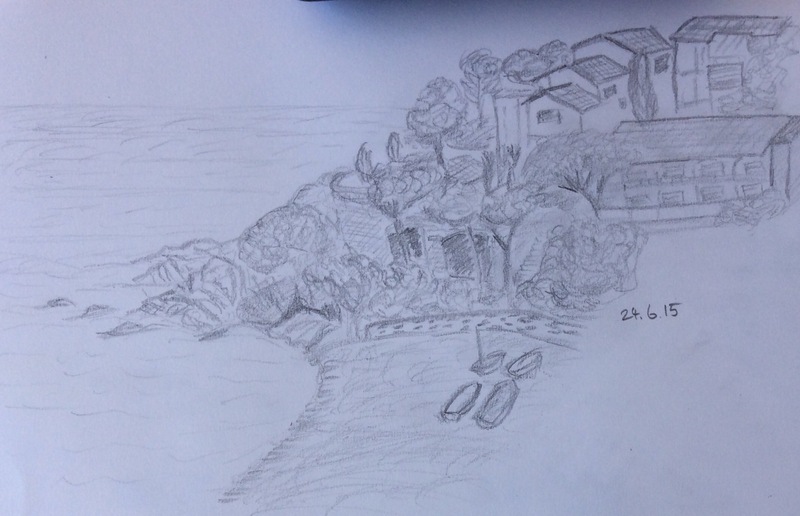 Since the last time I posted, I’ve transferred to Spain for a holiday so my second offering is a sketch of the view I have from the balcony. The view is quite beautiful and I’m not sure that without colour I can entirely do it justice. I have simplified what I can see just a little bit, it’s not quite to scale and, like most of my other drawings, it’s a bit wonky! 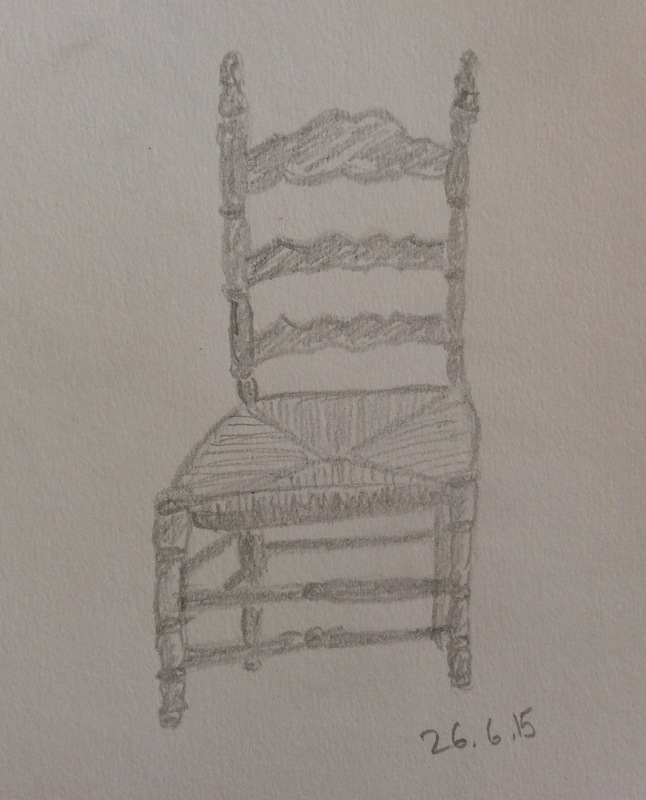 Yesterday, we were invited to lunch by some friends and the effects of a huge lunch, one or two drinks and the heat meant that the drawing of this ‘rustic’ chair is probably more ‘rustic’ than reality! 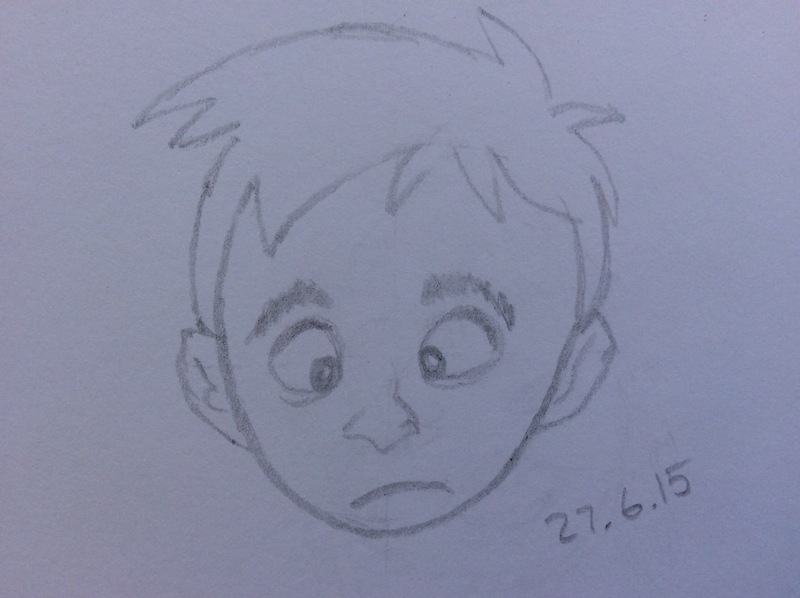 Another decidedly wonky sketch! Today I decided to try something a bit different. Having unsuccessfully tried to draw my granddaughter’s face and abandoning the attempt, I Googled ‘drawing cartoon characters’ and came across the TutsPlus web site. Following some very simple instructions, I managed to draw these two characters! I did have fun drawing these but I don’t think any of my illustrator friends need feel threatened! Tagged Chris Riddell, drawing diary, Five Point Plan. Bookmark the permalink. Thanks, Joy. It’s not about discipline really, more habit. There are some days when it doesn’t fit into my routine and I’ve stopped feeling guilty about that. It’s about having fun and if you feel you have to do it, the fun element goes right out of the window.